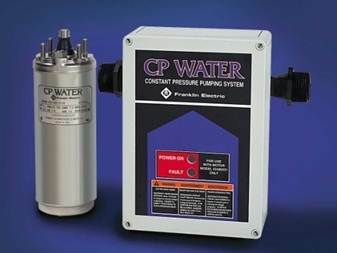 There I was, a new employee and product manager for Franklin Electric with a brand new product called CP Water, the company’s first generation variable-speed, constant pressure system. That evening, we were installing one of the first units at a well-known dealer’s personal residence. It was a pretty big event for me and the product. His impressions would carry a lot of sway down the road. And, between the dealer’s family, his crew, and his distributor, there were lots of people who showed up just to get their first glimpse of the product. But, although it was a high-profile installation, I was confident. This very unit had been thoroughly tested in the lab and had performed flawlessly. What could go wrong? We pulled the pump and replaced it with the new 3-phase motor and pump, followed by installation of the controller. “Just like a 3-wire system”, I proudly stated, and then explained, “Even though the controller’s output and the motor are 3-phase, it’s a simple matter of connecting RED, YELLOW, and BLACK to the output terminals. The controller knows the right way to turn the motor, unlike conventional 3-phase systems where you have to check rotation and sometimes reverse the leads.” There were approving head nods all the way around. With great anticipation, we started the unit and waited for all the awesome pressure and flow this unit was going to deliver. The wind quickly came out of my sails. At top speed, the system was only delivering about 1 gallon per minute! My worst nightmare, outside of the unit not starting at all. I tried a couple of things, but there wasn’t really anything to do but pull the pump, throw the whole thing back at engineering, and reinstall the old system. Here’s where the story takes a better turn. As we pulled the new pump, and were just about to cut the splices the dealer’s crew had made a few minutes ago, someone noticed that the red lead on the drop cable was connected to the black lead of the 3-phase motor. And vice-versa. The drop cable had been in long enough that it was hard to distinguish between the red and black, especially in that late evening dusk. You’ve figured it out by now. The motor and pump had been running backward due to the splicing mix-up. The controller was indeed smart enough to turn the motor the right way, but picky enough to assume that we made the right connections down hole. We reconnected the motor the right way, reinstalled the pump, and restarted. The system ran like a champ. There are obvious lessons here about vigilance, attention to detail and how the lack of it can bite you, especially when the stakes are high. But, in any case, the day was saved, and to this day, this contractor continues his long history of selling Franklin Electric drives. Green and yellow leads can also be confusing after they have been submerged for any period of time. Especially if you are color blind like me.